The Sebel Twin Waters is a collection of self contained Beach Houses and Apartments situated in an exclusive gated precinct, surrounded by the majestic Pacific Ocean, Maroochy River and Salt Water Lagoon the resort is a true Paradise with in 1.5 hours fro m Brisbane and only 10 minutes from the airport and Maroochydore town centre. Guests have the added benefit of the use of the Novotel facilities. Surrounded by spectacular beaches and the sparkling Maroochy River, The Sebel Twin Waters offers the ideal holiday getaway. Guests staying at this impressive Sunshine Coast hotel are close to Mudjimba Beach, Mooloolaba and Australia Zoo. With its spectacular Sunshine Coast location, The Sebel Twin Waters offers plenty of activities for guests who want to make the most of the outdoors, including a pool and nearby tennis courts, golf course, kayaking, fishing and snorkelling. Visitors looking for contemporary self-contained accommodation on the Sunshine Coast should look no further than The Sebel Twin Waters. 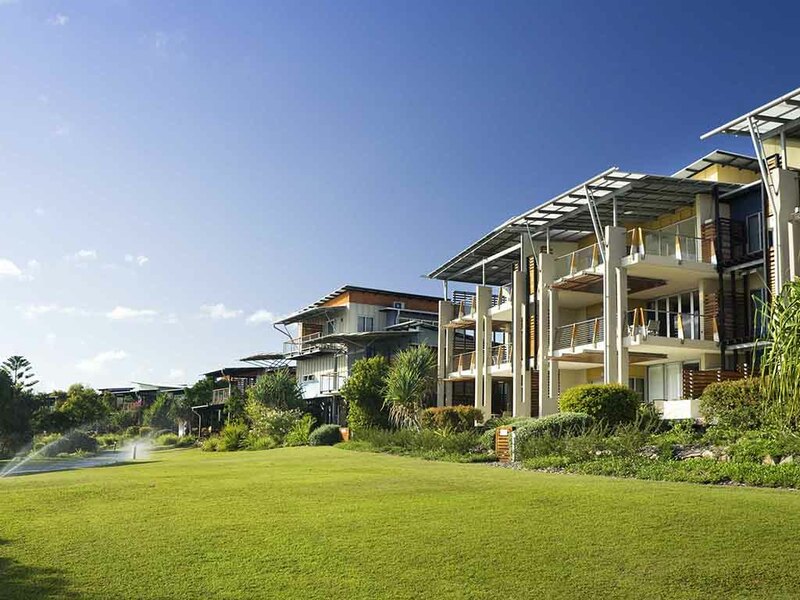 This impressive Sunshine Coast hotel offers guests a range of accommodation options, including one, two and three bedroom apartments, and three and four bedroom beach houses. Each apartment and beach house is stylish, modern and tastefully appointed, with a full kitchen, laundry, separate living area with TV, and outdoor dining with garden or lagoon views.